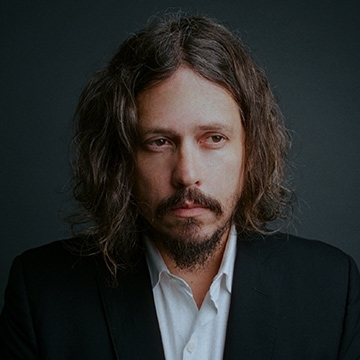 John Paul White is a singer- songwriter who resides in Florence, Alabama. As one-half of the critically acclaimed The Civil Wars, he toured the world and introduced millions to his music. The duo also won the 2011 Grammy Awards for Best Folk Album and Best Country Duo/Group Performance. Now, together with co-founders Ben Tanner, keyboardist for Alabama Shakes, and Muscle Shoals native Will Trapp, Mr. White runs Single Lock Records, a Florence-based indie label that has released records by some of the Yellowhammer State’s finest, including Dylan LeBlanc, St. Paul & the Broken Bones, and legendary songwriter Donnie Fritts. Mr. White’s latest album, his first solo recording in nearly a decade, is titled Beulah. Released in 2016, it’s an assuredly diverse collection spanning plaintive folk balladry, swampy southern rock, lonesome campfire songs, and dark acoustic pop.